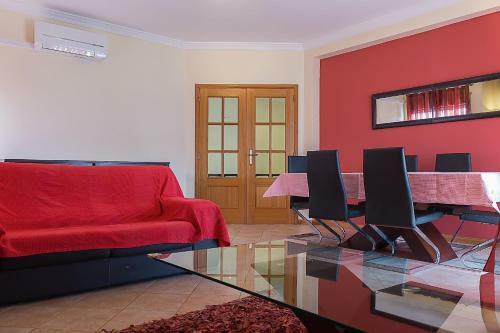 Set 5 km from Oura Beach in Albufeira, this air-conditioned apartment features free WiFi. The unit is 5 km from The Strip - Albufeira. Free private parking is available on site. The unit is fitted with a kitchen. A TV is provided. Apartamentos Benvindo are simple, self-catering apartments located 450 metres from Forte de São João Beach, in Albufeira. All units have free access to 2 outdoor swimming pools. Akisol Albufeira In is a holiday home with a terrace, set in Albufeira. 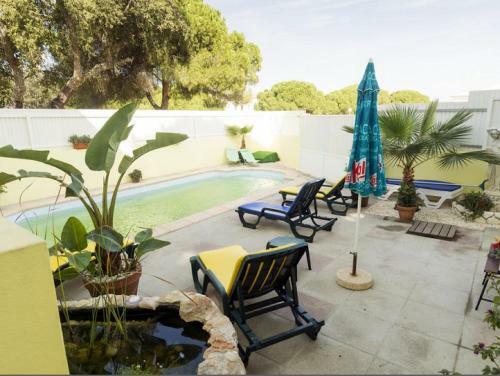 The property boasts views of the pool and is 3.4 km from The Strip - Albufeira. Set in a tranquil setting and offering access to an outdoor swimming pool and a sun terrace, Cheerfulway Cerro Atlantico is located in the Albufeira City Centre, 400 metres from Fisherman's Beach.